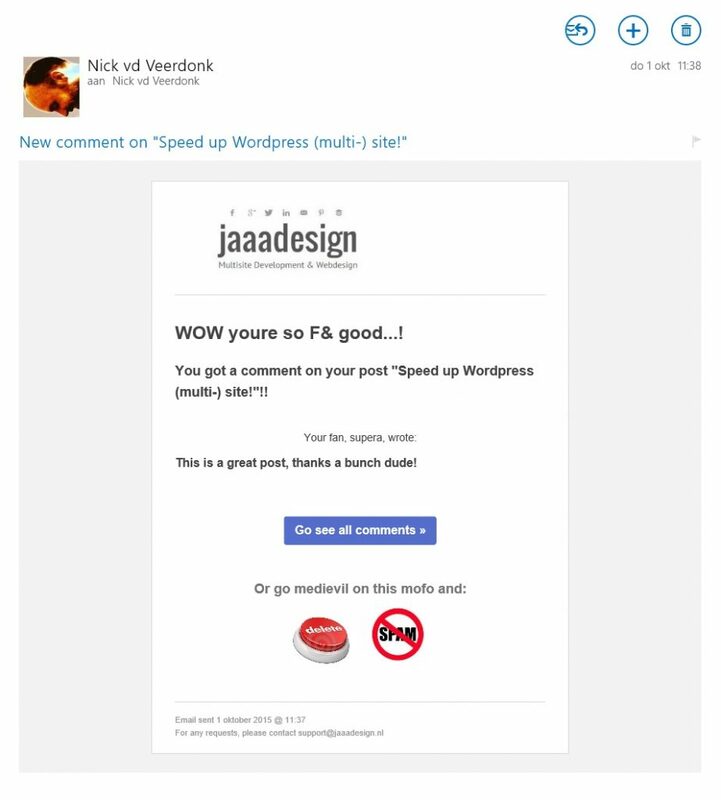 To be sure: Prettier HTML Email Comment Notifications plugin is not an extensive masterpiece of WordPress development, rather a modest but useful piece of code to simplify and beautify the notifications one receives when someone comments on one of your posts. Also notifications for trackbacks/pingbacks are included. It basically makes HTML email notifications look better (this plugin is to be used alongside a HTML plugin such as WP Better Emails or WP Email Template) by replacing links with buttons and images and hiding private details such as IP address and email. Now doesn’t that look nifty? With due thanks to Jonathan Penny (http://www.jonathanpenny.co.uk) who provided the base coding with his ‘Custom Comment Notification Plugin’!! To download simply click this link, soon available on WordPress.org.